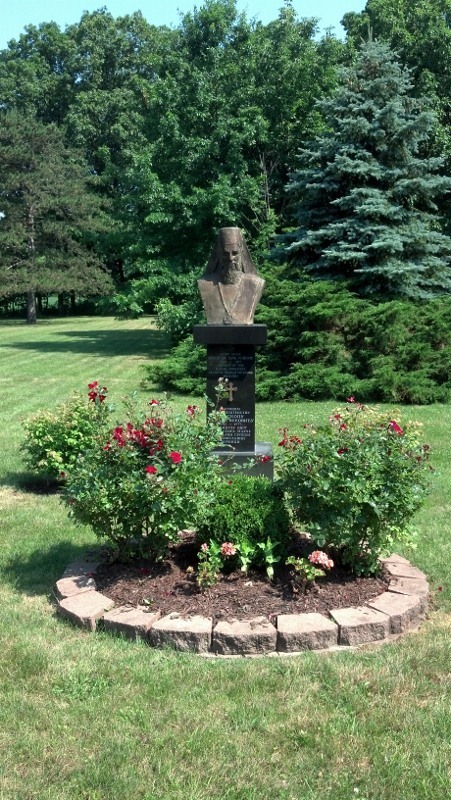 Richfield, OH – A Divine Liturgy was celebrated along with a parastos in memory of His Grace Bishop Dr. Sava (Vukovic) of Sumadija of blessed repose on Saturday 16 June 2012 at Monastery Marcha. 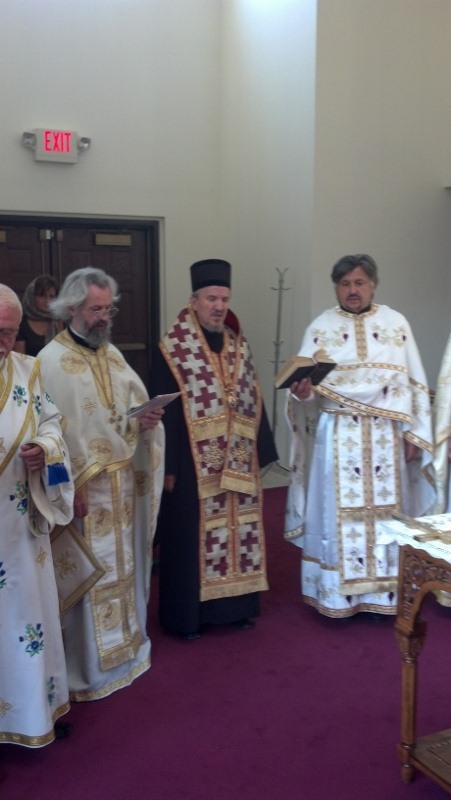 His Grace Bishop Dr. Mitrophan of the Eastern American Diocese of the Serbian Orthodox Church was present at the Divine Liturgy and served the Parastos. 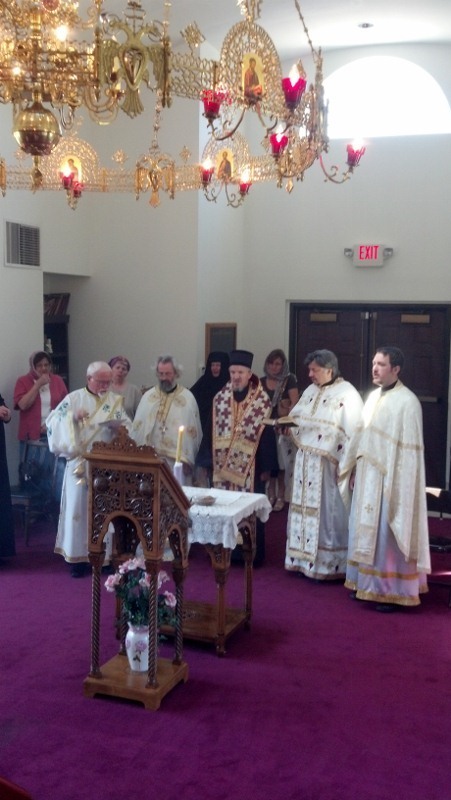 The Divine Liturgy and Paratos were served by Archimandrite Leontije (Alavanja), Rev. Frs. 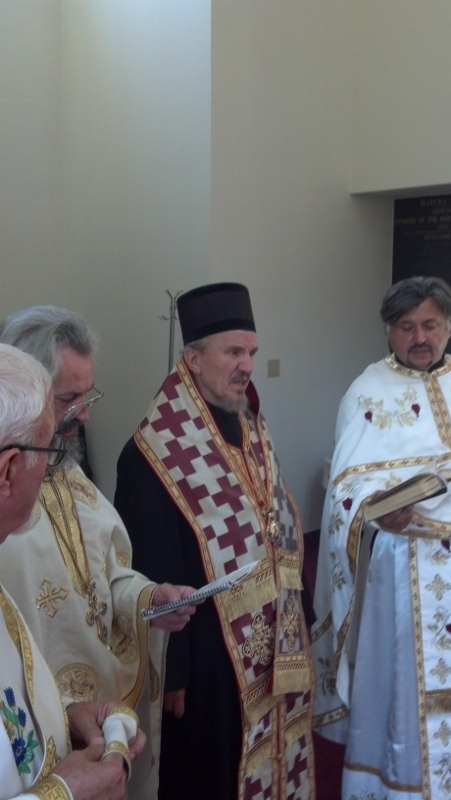 Mijoljub Matic and Aleksa Pavichevich, Protodeacon Milan Medakovic and Deacon Ljubisa Mitrovic. 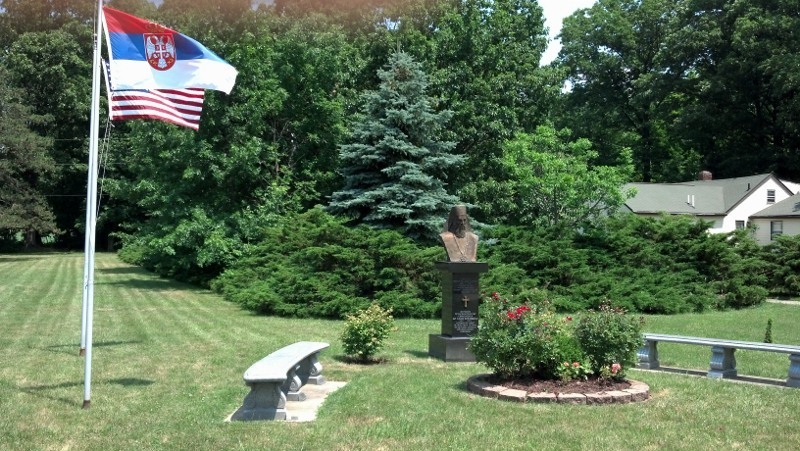 After the Divine Liturgy and Parastos a lenten meal was served by Igumanija Ana and the sisterhood of Monastery Marcha. 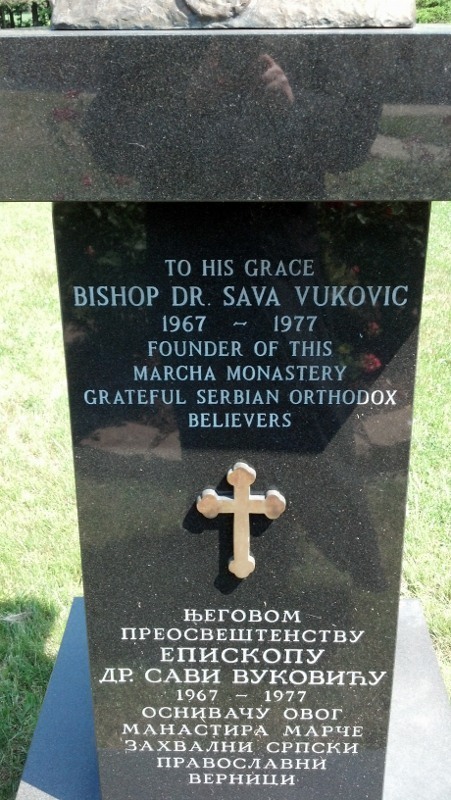 May the memory of Bishop Dr. Sava be eternal.